You can view a tutorial on how to set up Duolingo for Schools with your students below. Do you struggle to get students to practice their vocabulary? If you answered yes, then you need to try Quizlet. Quizlet is a fun and easy way to help students learn vocabulary. Quizlet offers several options such as: flash cards, learn mode, quizzes, and Quizlet Live. Quizlet also offers a paid teacher subscription that allows you to create classes and track student progress. Here is a tutorial on how to set up Quizlet. Once you and your students start using it you won’t want to stop! Ok so your busy teaching when suddenly a student asks to go to the restroom. You have to stop to write out a pass or stop to take the time to write down the student’s information date time etc. What if you could set up a system that would allow you to continue teaching without you having to stop to keep track of all the students coming and going? Doesn’t that sound great? Well you can take back your teaching time by using a digital bathroom pass. 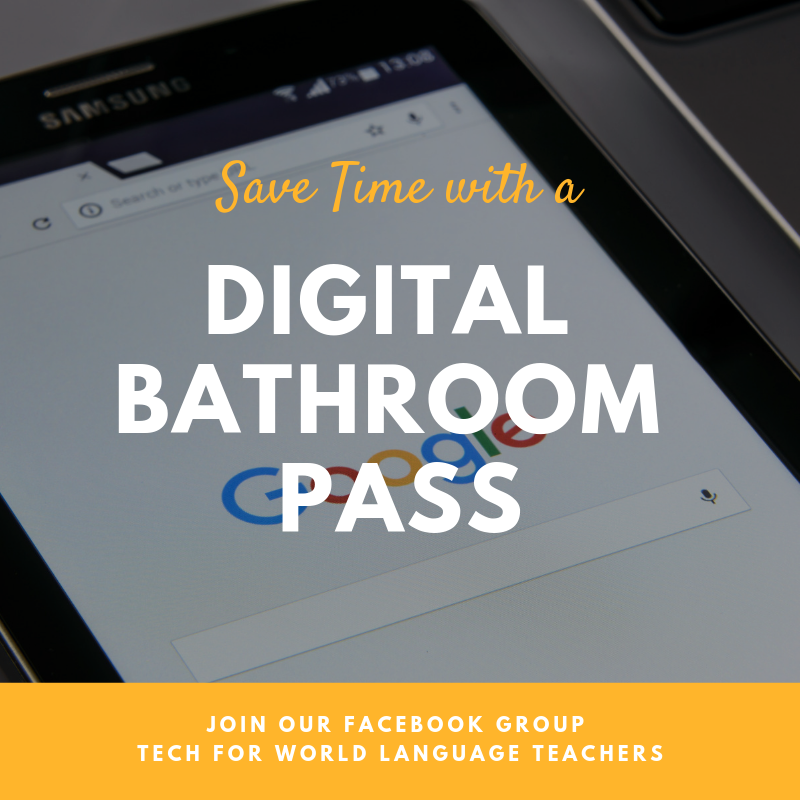 Here is a tutorial that explains how to create and use a digital bathroom pass using google slides and google forms. Remind allows teachers to send quick and easy messages from any device for free! You can also send voice memos, links, and attachments. This is a great app for communicating and collaborating with parents and students. I can’t tell you how many hours remind has saved me over the years. In addition, it has helped to develop better relationships with my students and their parents. Here is tutorial on how to use remind. Let us know what you think? Join the conversation here. Gathering student information is an essential part of any classroom. In the past, I would have students complete a printed form and file the forms in folders. After losing some of my files a few years back; I decided I needed a more secured way to collect and keep student information. Enter google forms, Google forms allow you to create forms online and the information is automatically saved in google drive. It is a great way to keep track of important information and save time. Here is a quick tutorial on how to create a student information form. The start of a new school year can be very exciting! It can also quickly lead to feeling overwhelmed with all of the things that must get done. I have found a good way to stay on top of things is to plan out my school year. In the past I would use a notebook planner. But after I misplaced my planner a few years ago, I realized a better option was to use an online calendar. Using an online cloud based calendar, assures me that I never have to worry about misplacing my personal calendar again. Below, is a tutorial about how I organize my school year using office 365 calendar. The calendar is easy to use and accessible any time on my computer or smartphone.